So, tomorrow Elizabeth Windsor becomes the longest-reigning British monarch since King Lear. It seems strange to me that I've never dreamed about her, as far as I remember, despite dreaming about her eldest son on several occasions. I believe I've seen them each exactly once, both times in Romsey - for I prefer to let the royals come to me. From the comfort of a chiropodist's shop window I saw Charles and Diana on their wedding day in 1981, driving from Romsey station to Broadlands for the first part of their honeymoon: they looked happy enough at the time, and were to remain so for at least another fortnight. But the Queen I encountered long before, in Romsey Abbey, where she was attending some service or other at which I happened to be present. I suppose I was about seven, and sitting at the end of a pew when she swept down the aisle with a small entourage. Her fur coat happened to brush my hand - or perhaps it would be more correct to say that I stuck my hand out to feel her coat. Either way, I was impressed by its luxuriant softness. Now it occurs to me: did my youthful touch have some effect in ensuring that she would carry on breathing in and out for another 45 years? And in exchange, was I spared a bout of scrofula? People have believed stranger things. I saw Chuck once, when he was at Harvard's 350th. He was leaving Memorial Hall in a limo, and he got in and waved charmingly to everyone on the curb. We lived down the street, hep cats looking at a possible future king. And I saw the Queen Mum once, at some tea, maybe at Hampstead? that she put in an appearance at for retired gardeners or something. We were just touring. She beamed, more convincingly even than Chuck. We ate at Chez Benoit last May (a good prix fixe), as I did two or three times before Di's death. That was where she'd wanted to dine that night, but there was too much press, so she stayed at the Ritz, before the fatal drive. I spent that night in Colchester - so couldn't possibly have been involved. 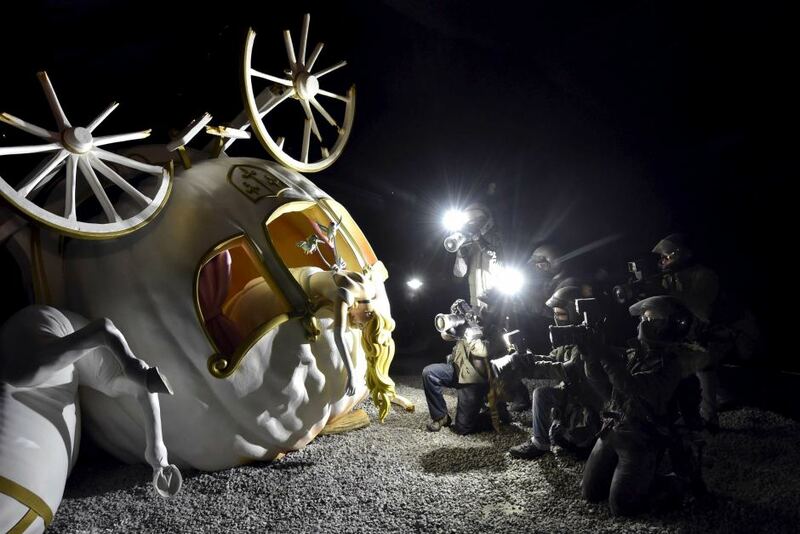 The moment is memorably captured in Banksy's Dismaland, I see - where I still haven't been, tickets being very hard to come by.